Free shipping on orders over £55! 2018 Edition KICKR Smart Trainer is rated 4.3 out of 5 by 128. Building on the proven success of Wahoo’s line of KICKR Smart Trainers, the new 2018 edition delivers a virtually silent experience and a specially engineered, heavier flywheel to provide cyclists with the exact inertia they need to recreate the feeling of riding outdoors. The KICKR continues to provide the best in class indoor smart trainer design with carbon steel body for the durability. Its unmatched compatibility expands to include our new indoor grade simulator, the Wahoo KICKR CLIMB, and our new Bluetooth and ANT+ powered fan, the KICKR HEADWIND. The KICKR includes an 11 speed cassette for easy setup and an RPM cadence sensor. NOTE: The KICKR only ships to select countries. Signature required for delivery of all KICKR shipments. The KICKR's new design offers an ultra quiet riding experience. KICKR's new larger and heavier flywheel was specially engineered to provide riders with a more precise inertia needed to recreate an outdoor ride feel while training indoors. Wahoo's KICKR CLIMB indoor grade simulator was designed in conjunction with the KICKR smart trainers to deliver a unmatched indoor training experience when combined. KICKR HEADWIND was designed to deliver innovative climate control to your indoor training experience. The new KICKR features 12x142 and 12x148 thru axle compatibility in addition to standard 130/135mm quick release. 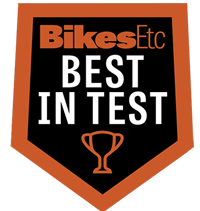 Click to find out if your bike is compatible. An update to the main mast ensures clearance for flat mount and disk brake equipped bikes. Enhanced power accuracy to provide accurate power measurement and generate up to 2200W. Maximum percent grade adjusts to simulate up to a 20 degree incline. ANT+ and Bluetooth capabilities allow it to connect to both smartphones and GPS devices simultaneously or separately. An ANT+ FE-C connection allows the KICKR to be controlled from any FE-C enabled device or application. Robust steel construction ensures the KICKR stays in place while you crank out the watts and stands up to years of heavy use. The KICKR flywheel is innovative and proven technology emulates the power and inertia experienced during outdoor riding. It provides the most realistic ride feel especially when using virtual riding/training platforms like Zwift and Trainer Road. Get all your vital cycling metrics on your indoor ride. Cadence only available when paired with a Wahoo RPM Cadence Sensor that is included. Works with popular training apps such as Zwift and TrainerRoad. For more details on which apps are compatible with the KICKR, download our in-depth KICKR app comparison chart. Compatible with a third party power meter. Rated 5 out of 5 by Lrv1214 from Great product! I bought the kickr about a month ago and I could not be happier. It’s very silent which was what I was looking for. When you’re not pedaling it’s a bit noisy, but manageable. In ERG mode it responds very quickly to power changes. My only issue is that even if you are consciously putting more watts, it won’t change the value displayed. Rated 5 out of 5 by rszwaja from Great Product Used the 2018 Kickr from November through March, and absolutely loved it. There was a problem with vibration and noise that was addressed quickly and professionaly by Wahoo. I put over 1,000 miles on the Kickr, and almost felt sad to leave it for the open road. It is smooth, quiet, sturdy and very effective. It paired well with Zwift, which allowed me to log many enjoyable miles on various terrain. It definitely gives me something to look forward to next winter. Rated 5 out of 5 by Tyfighter from Amazing! This trainer outperforms me in every way. I use it with zwift as well as the kickr climb and headwind. It is all amazing. I was going to get a peloton bike but for the same price I would take a trainer any day of the week. Group rides on Zwift have me excited to ride even on snowy days when I otherwise wouldn't be able to. Rated 5 out of 5 by kpritchard16 from Makes indoor training fun, yes fun I have had all kinds of trainers from rollers to peloton. None of them were really fun. This is fun and safe unlike the rollers, lol! Teamed w zwift and you can do fun rides and training plans. Very pleased and worth the cost. Everything worked right out of the box. 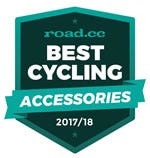 Rated 5 out of 5 by Archie from Works well for my purpose I was using much louder Elite model before, and my bike shop recommended Wahoo Trainer + Climb combo. After switching, my family can fall a sleep without any disruption or vibration noise. Also, the Climb combination work great together with the Zwift map. The VR world is nothing compare to the real riding, but with cold weather and micro dust in the air, the indoor work out with these units are perfect for me in winter season. Rated 5 out of 5 by swheat6345 from Awesome Smart Trainer I actually bought a Wahoo Snap at first and fell in love with what a riding on a Smart Trainer was going to be like. Unfortunately the Snap was to noisy for my daughter and wife who slept above my riding area. I returned the Snap and got a Kickr. The Kickr is not only quiet the accuracy and road like feel a leaps and bounds ahead of the Snap. I read some really concerning reviews and wondered if my unit would start to make loud clunking or worse yet grind to a halt. However, after 300 miles of riding on my Kickr it is still kicking and I love the experience and it has been a great alternative to road riding and being away from my family. The smart trainer has helped my balance my training with my family time which is a win/win. Rated 5 out of 5 by gdavis from Really Great Trainer I am very pleased with my Kickr 2018. Had an earlier iteration of Kickr and was fairly well satisfied. The 2018 is so much better, though. It is smoother, quieter, more responsive, and is solid throughout my rides. If your're committed to indoor training and realize the time devoted to it, it is well worth it to upgrade to the 2018 model. I use the Kickr with Apple TV and Zwift and the two play really well together. Rated 5 out of 5 by Ruthied13 from Great equipment for the price I wanted a trainer I could use with apps and keep the rear wheel on for quick disconnect to ride outside. This fits the bill. I like the wahoo fitness app used with my cadence sensor. The only downside is that I ended up having to purchase the ant+ dongle so the apps could pair consistently. This sale price is lower than our "minimum advertised price", so we cannot show it to you in the catalog. If you click on the "click for price" link, a pop-up will reveal this special, super-discounted price.